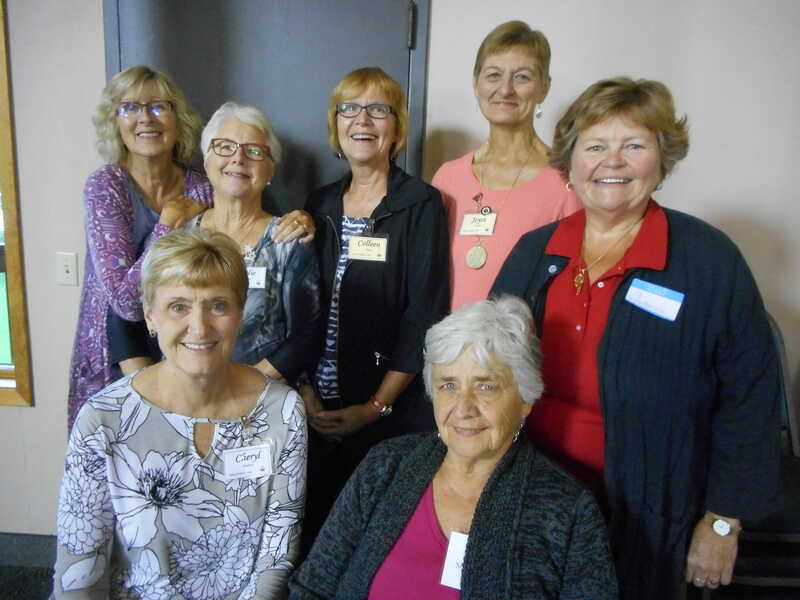 Back row L-R: Beth Wydeven (Secretary), Julie Andersen (Vice-President), Colleen Adams (Board Member), Joyce Schaefer (President), Nell Anderson (Board Member), Front L-R Cheryl Bowman(Board Member), Sharon Paulson (Treasurer). 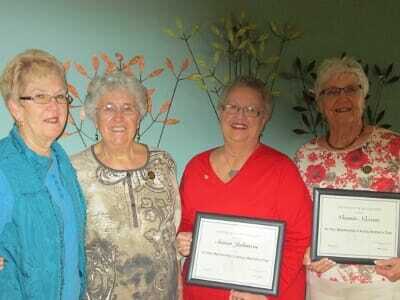 CONGRATULATIONS TO THE AMERY WOMAN’S CLUB 50 YEAR MEMBERS! Keep us O God from pettiness; let us be large in thought, in word, in deed. Let us be done with fault finding and leave off self-seeking. May we put away all pretense and meet each other face to face, without self-pity and without prejudice. May we never be hasty in judgement and always generous. Let us take time for all things; make us to grow calm, serene and gentle. Teach us to put into action our better impulses, straight forward and unafraid. Grant that we may realize it is the little things that create differences. That in the big things in life, we are at one. And may we strive to touch and to know the great common human heart of us all; and O Lord God, let us forget not to be kind! “I have a place to go once a month where I am lovingly greeted and my contributions are welcomed, and when I am not there, I am missed. I am gathering a collection of friends that care about: a wholesome community, good schools, and meaningful work to benefit our community.